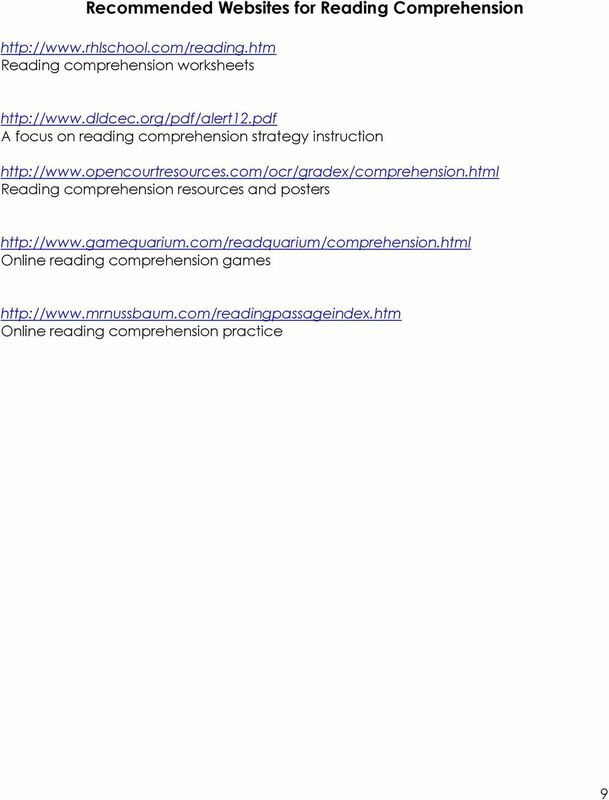 Download "Reading Comprehension & the GED Test"
Comprehension Intervention Strategy Click or Clunk? 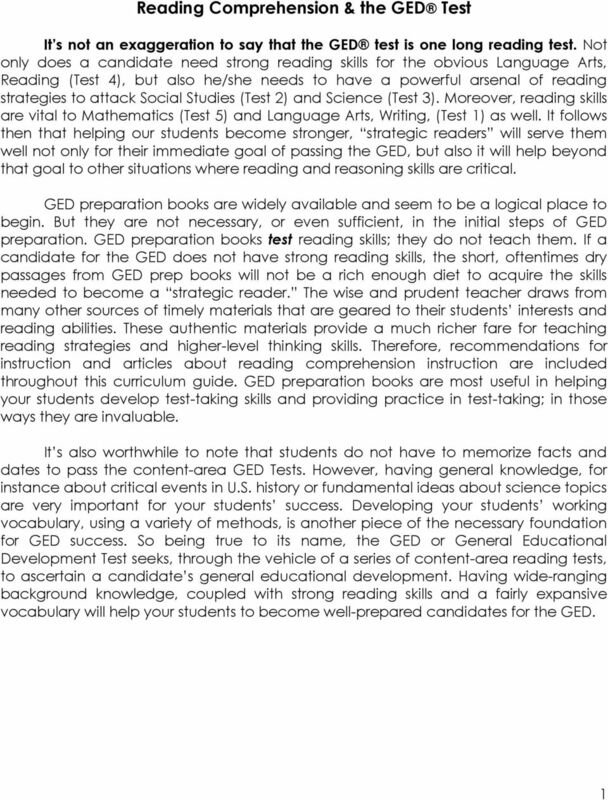 Reading and Taking Notes on Scholarly Journal Articles Set aside enough time in your schedule to read material thoroughly and repeatedly, until you understand what the author is studying, arguing, or discussing. 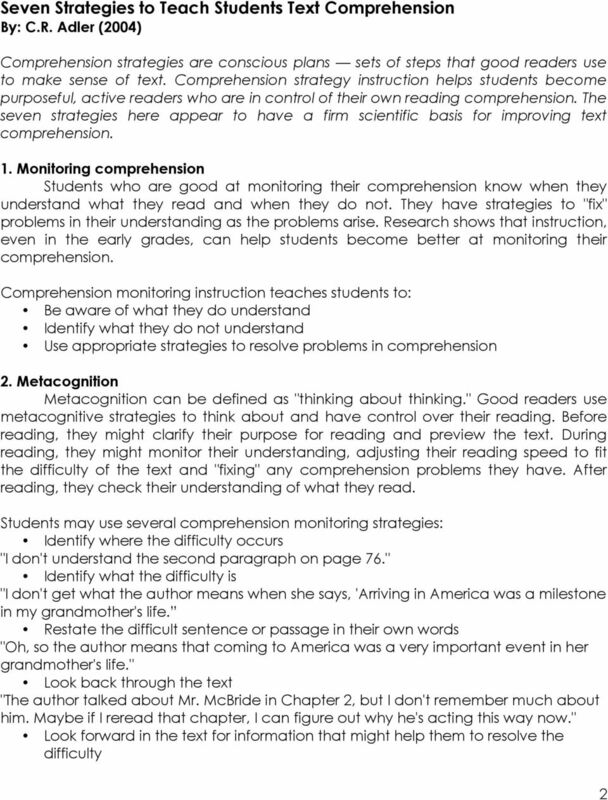 Reading Comprehension Strategies Linda Odom-Heartland Elementary School 1 Table of Contents Why Teach Reading Comprehension Strategies?.. 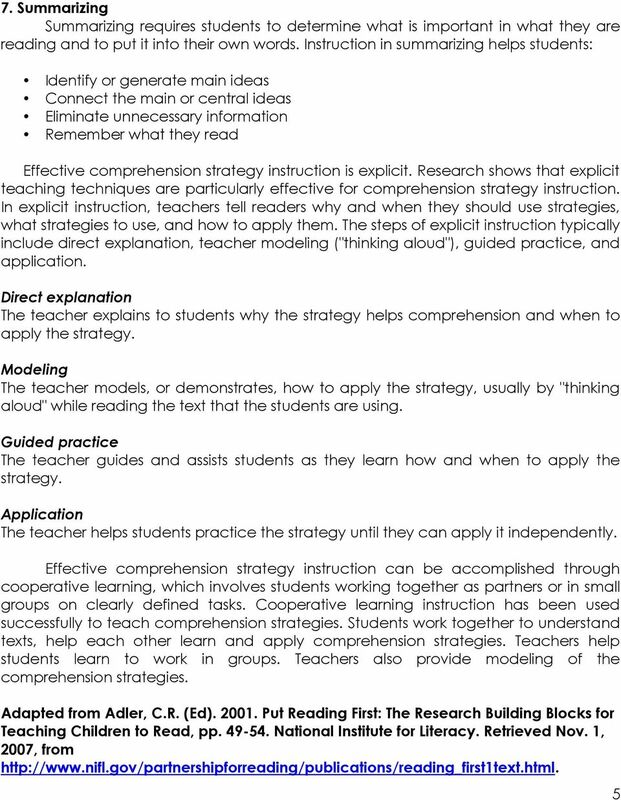 3 Strategies for Decoding Words 4 Making Predictions 5 Making Connections.. 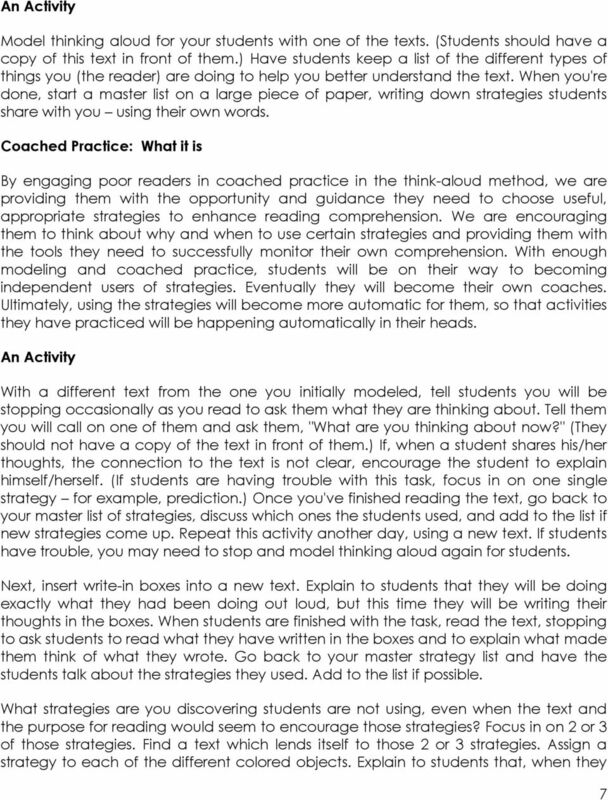 Presented by TCI www.teachtci.com (800) 497-6138 Beat the Teacher What is it? 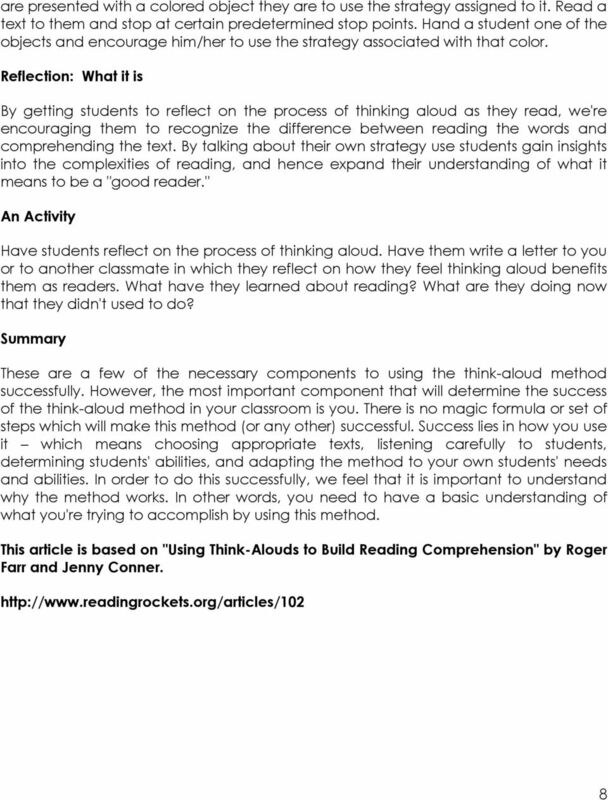 Beat the Teacher is an activity that helps students develop strong questioning skills that result in enhanced comprehension. 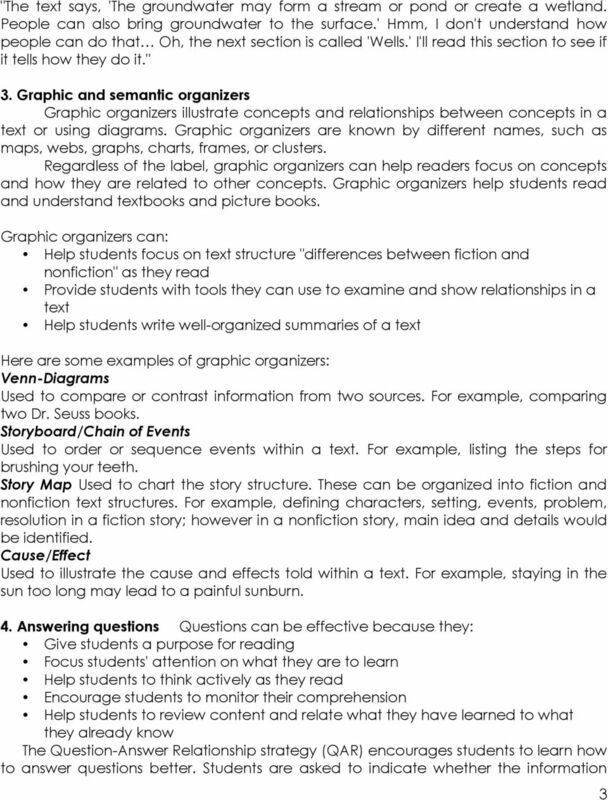 Special Needs students and ELL can participate in this activity but provided with a different story from special book for ELL. Grade Five Lesson Plan: What Makes a Number Odd or Even? 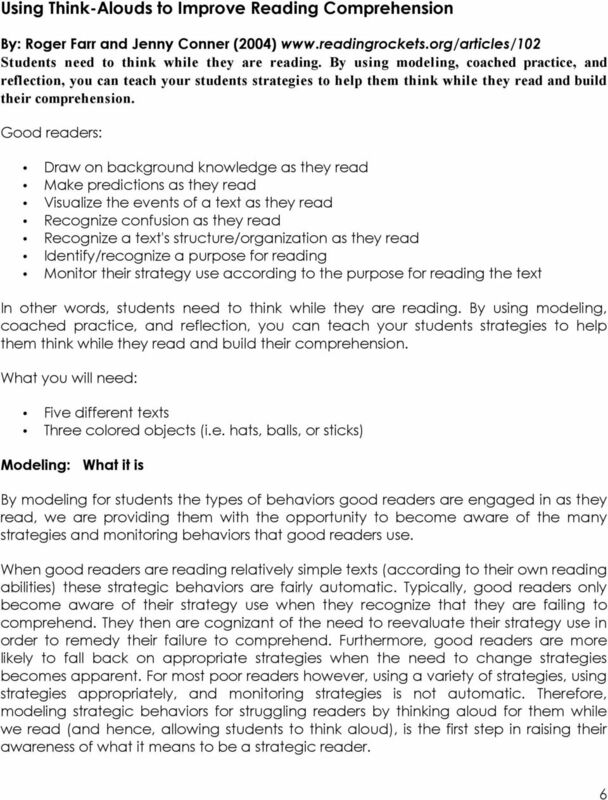 Strategies for Teaching Reading Across the Content Areas NC Teach: UNCW January 2004 Debbie Lemon What do you think? 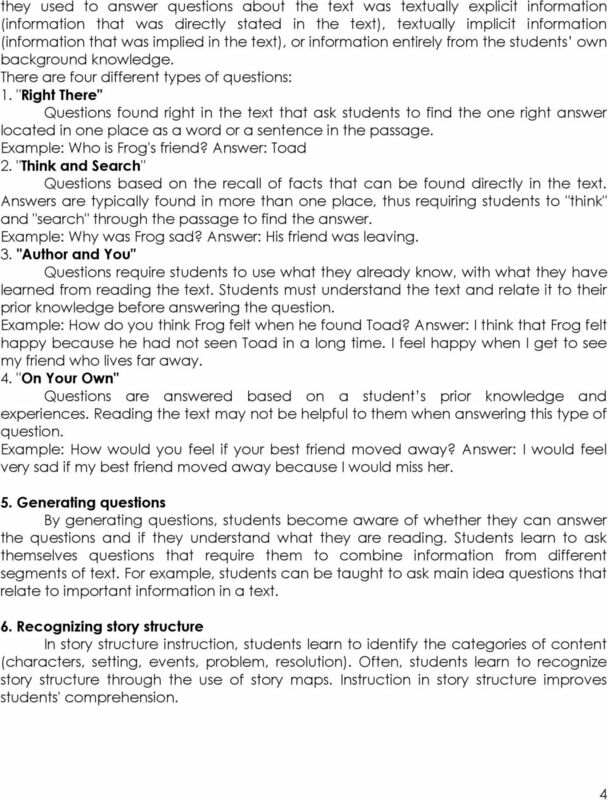 Read each statement on the handout entitled What do you think? and decide on your responses. The word Socratic comes from the name Socrates (ca B.C. ), a Classical Greek philosopher who developed a Theory of Knowledge.